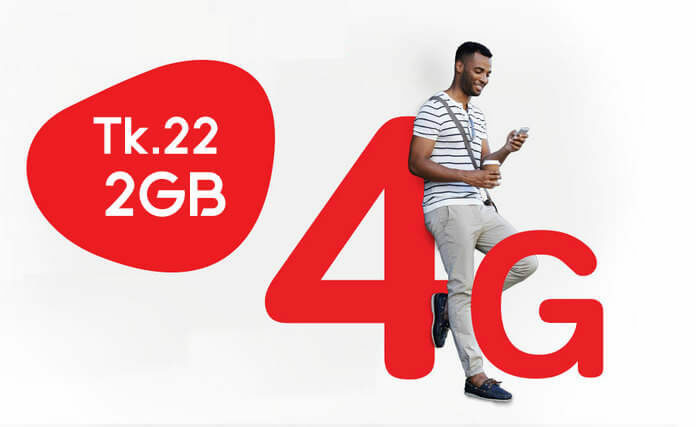 Airtel gives 4G internet offer 2019, for 2GB internet data volume only Tk 22. All Airtel customers in Bangladesh can avail this offer but you need 4G network supported Mobile and SIM card. 4G internet offer 2019, this is best 4g mb offer for Airtel customer, don’t miss your offer. This internet pack is absolutely perfect for those who use a lot of Internet in a short period of time. This internet pack is 24 hours a day, You can use this internet pack for any purpose. To know more about the Airtel 22 Tk 2GB 4G Internet Offer 2019 pack, see the information given below. All prepaid and postpaid customers will be able to enjoy this offer. The Internet can be used only on 4G networks. The offer can only be purchased by dialing the USSD code. There is no auto renewal facility. During the campaign period, you will be able to enjoy the offer as often as possible. Like our Facebook page to support us and share this post with everyone.